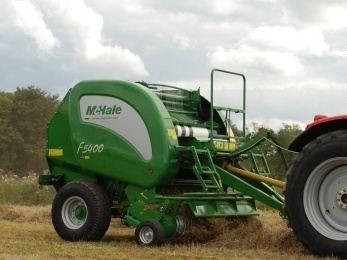 The McHale F5400 non-chopper round baler features a star shaped feed rotor to quickly and efficiently move the crop from the pick up into the bale chamber. This maximizes the baler performance and throughput. The F5400 non chopper round baler comes standard with the McHale Drop Floor Unblocking System, 50mm Bearings on the bale chamber, heavy-duty chains and a continuous oiling system.